Above is an HDU sign for a women's clothing store. This sign was created by lightly sandblasting HDU to achieve a sandstone texture. 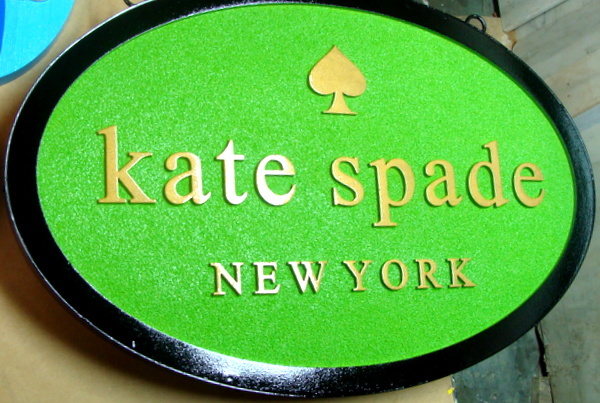 The sign features a carved 2.5-D raised (flat relief) "spade," which is the company logo. The text, borders and trim were carved 2.5-D raised (flat relief). The sign was then painted with long-lasting automotive-grade enamels and clear-coated twice, making it siutable for either indoor or outdoor use.